Have you seen the movie Zindagi Na Milegi Dobara? Yes, the same one that shows three males taking a trip of a lifetime together. I loved the movie, the tiny tales it told and the lilting songs. The close friendships, the silly pranks and the challenges that help each one overcome a fear for life struck a chord inside me. You must be wondering why I am talking about a movie that released so many years ago. I will come to that soon. As I sat watching the shimmery green-blue waters on a beach in the Andamans a few days back, not only did the beautiful white sands and the pristine beaches calm me, they also made me reflect. I love water especially sea. I can spend days by the beach doing nothing. I can swim in the sea, not swim; walk for miles on the shore or just sit by the sea looking into the distance. I can read or just sit idly. And, I can do this day after day without getting bored at all. Growing up in Mumbai, I was lucky to live close to the sea. My large balcony opened to a view of gorgeous sea, surf and the sun. Perhaps that is the reason why I love water so much. Much more than mountains. On one of the islands on this trip, I did snorkeling for the first time. For those who don’t know, you put on your swimming gear with face mask with an air tube that helps you breathe while you sink your head inside the water and watch the marine life beneath. I did one such exploration with a guide. He held my hand and glided with me taking me on a unique underwater journey. While I floated, I watched with childlike fascination as another world opened out to me. Beautiful fishes, so colourful and fearless. They swam with me. The guide who was talking to me and giving information gave me some fish food that attracted them to me so that they came to my fingers and gently collided with me. I giggled like a child in pure delight. The beautifully clear water let me see the world of corals below. It was stunning! 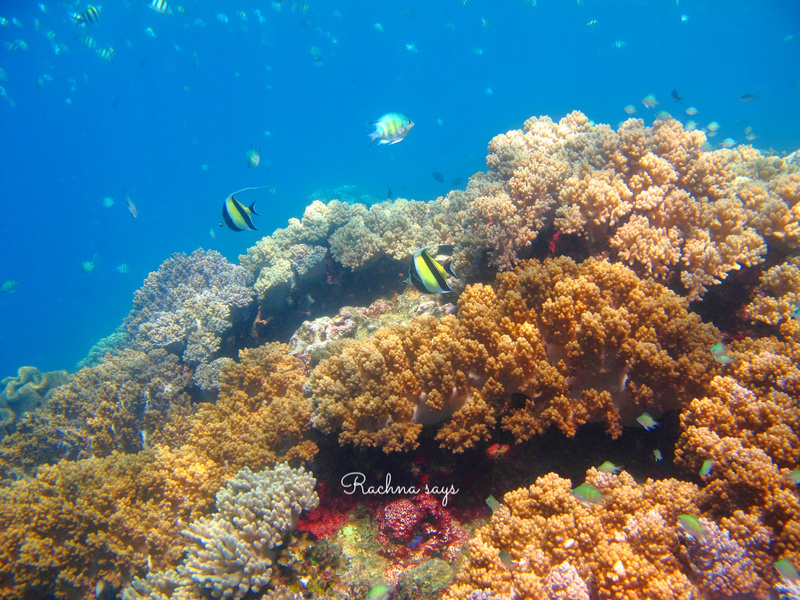 There was such an amazing and absolutely pretty variety of corals that I saw, living and beautiful. Finger coral, brain coral, mushroom coral and so many more in vivid colours, named so due to their shapes or colour. There were fish, sea anemone, sea cucumber, sea urchins, school of tiny black fish that moved together, clown fish (remember Nemo) and so many more. Bright yellow, blues, reds, browns and blacks surrounded me as we moved together. It felt as if they were welcoming me to their world showing me their favourite rock or coral. Ferries that took us to North Bay, Andaman. Look at the water! The guide was with me for about half an hour taking me in a wide circle as I stayed underwater and drank in the spectacular visual treat. In those moments, all was calm and quiet. I could hear the guide’s voice telling me interesting trivia while I asked him questions. There was another part of me that was just taking in the experience very still, totally at peace. I even reached down and touched a coral gently. It was living, breathing and very soft to touch. I floated around marveling at how beautiful these corals and sea life were. The sea green water was warm and welcoming. When I completed my half an hour, I walked back and sat on the rocks on the shore still mesmerised. There was a buzz of activity around me. My husband went for his turn. The younger son was still completing his round while I sat in the hot sun feeling so much at peace. I felt truly happy in that moment, as if I had experienced something precious and rare, a secret that the sea whispered in my ears. In that moment, I could relate to why Hrithik’s character felt so moved by his own similar experience in the movie ZNMD. Snorkeling was a deeply spiritual experience for me and very surprisingly so. Something that words can’t describe. Hopefully, I will get more opportunities to do it in the future again. There is so much about this trip that I want to talk about and will in the coming posts. But for now I just want to revel in that experience on a sunny afternoon sitting by the beach in North Bay, Andaman. 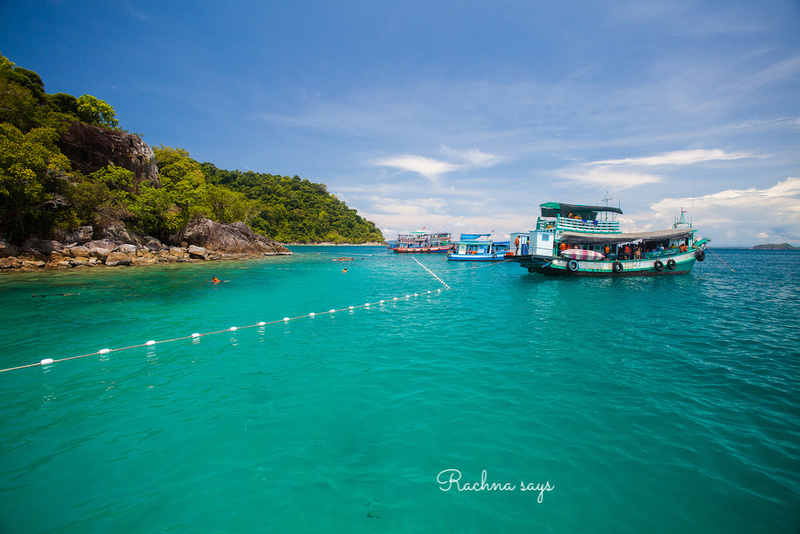 The colour of those waters — so inviting. Lovely pictures, Rachna. Beautiful photos and part of the world! Oh wow…amazing photos! When I was in India last year, I had actually wanted to visit Andaman with the family but somehow, it never eventuated. Someday hopefully, I ‘ll get there. But like you, I love the water. I don’t think I could live anywhere that is more than 20 minutes drive from the beach. It’s my therapy. I can sit for hours on end and read, sleep, swim, relax. Aren’t we fortunate to be able to experience this? Definitely picture perfect place to swim! We were in Andamans too over a year back, and love the serene gentleness of that place. 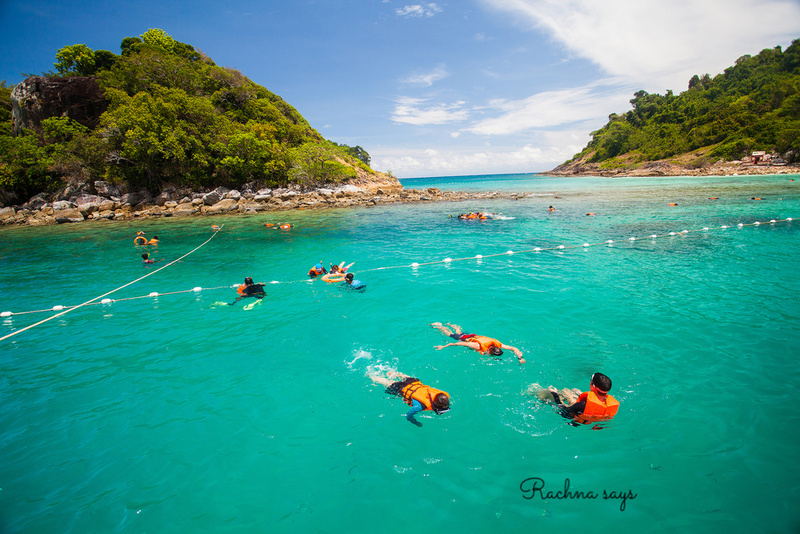 If you loved snorkelling, you will totally enjoy Scuba Diving as well. A must-do. But I would recommend Thailand, Philippines for a more vivid experience. There is something purely blissful and surreal about under water. I feel we have a heaven right here on Earth, when it comes to the marine world. Like you I love the sea any day to the mountains. I find the mountains a bit too lonely and depressing, not sure why. Thanks Nats. Sure Thailand is definitely a place I wish to go. Would surely keep scuba diving in my mind for then. You are right, we are so blessed with what we have on earth and under water. Andaman is on my bucket list! This was such a lovely account, Rachna. I love Andamans and it is so beautiful. But I have bigger love for the mountains. Having said that, Andamans over Goa or any other beach in the world. I have also been to the North Bay Island and loved it. If things go as planned, we may go back again to Andamans this December. Let’s see. Loved the video and the pictures. Looking forward to reading more! You make this sound beautiful. However, quite like Hrithik in the film I’ve absolute dread of putting my head under water. So I cannot quite fathom how someone can be there for an extended period of time. The pictures are of course gorgeous and you touched coral.. wow.